Food for Thought! 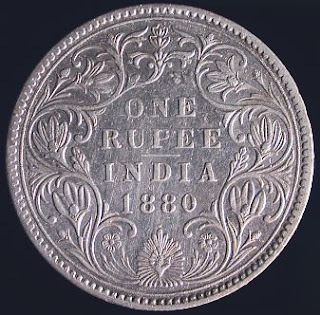 : The Rs.10 Coins. In India, you get to see currency notes with all sorts of dirt, Holi colours on it, some pieces held together with adhesive tape, something scribbled on them, from numbers to names, to places, etc. Sometimes you are not able to read numbers printed on the note. They are found with several folds, carried as per the holder’s convenience. When I was some 11 or 12 years old, I use to get fascinated by new rupee notes. Even today I stop for a moment when I see a fresh new currency rupee, as it is difficult to find fresh notes in circulation. I use to collect them, the clean clean and kadak kadak notes of rupee, mostly in ones, twos, fives and tens of denomination. At that time, I thought that probably I would never spend them. I feel great that I witnessed something new as it happened back then. And here’s another change to witness history. The Government is planning to roll out Rs 10 coins during Diwali. The finance ministry will soon invite global tenders for manufacturing 30 crore pieces of Rs 10 coins amounting to Rs 300 crore. The coin will be of 17-mm diameter, an alloy of copper and nickel (cupro-nickel) while the rim will be of Al-Bronze (aluminium, copper and nickel). It is believed that only foreign suppliers will be able to supply these coins due to their unique composition.